To that add condensed milk, sugar, butter and melt them. 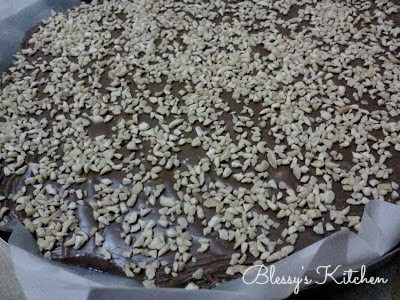 Top the fudge with your choice of nuts or marshmallows. Freeze it for an hour.. 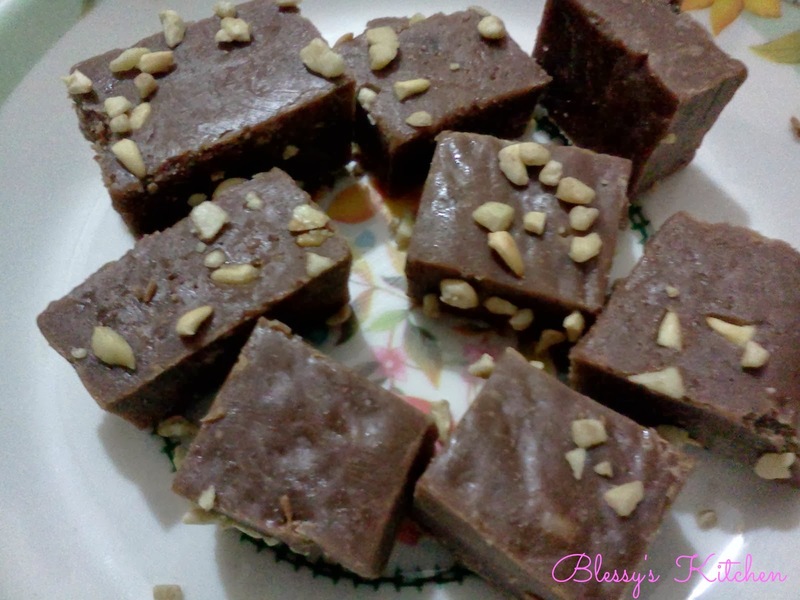 If you like this recipe of Chocolate Fudge, then do let me know in your comments below.